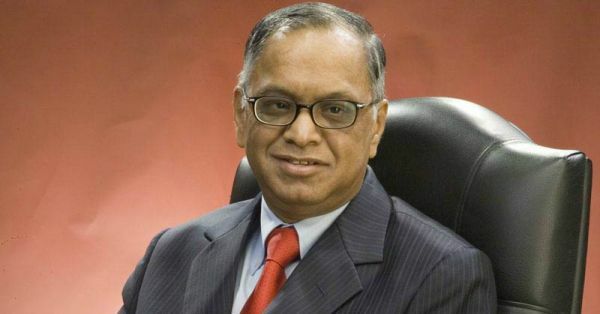 Narayana Murthy is mostly known as the co-founder of Infosys. You'll hear his name in passing when people discuss technology or engineering. But he isn't just his work. He's also a husband, a son… And a father. Here are a few quotes from a letter he wrote, addressed to his daughter, that explain the emotional journey of every father. He talks about how he felt when he was away from his daughter, when he couldn't provide everything that she desired and when she found the person she wanted to spend the rest of her life with. It's very touching and will definitely make you want to give your dad a tight hug. It’s part of the book titled Legacy: Letters from eminent parents to their daughters and following is an excerpt from Narayana Murthy's letter. "Your arrival in my life brought unimaginable joy and a larger responsibility. I was no more just a husband, a son, or a promising employee of a fast-growing company. I was a father, who had to measure up to the expectations his daughter would have of him at every stage of her life." "My mind often goes back to the initial days after your birth. Your mother and I were young then and struggling to find our feet in our careers. Two months after your birth in Hubli, we brought you to Mumbai, but discovered quickly enough, that it was a difficult task to nurture a child and manage careers side by side. So, we decided that you would spend the initial years of your life with your grandparents in Hubli. Naturally, it was a hard decision to make, one which took me quite a bit of time to come to terms with. Every weekend, I would take the plane to Belgaum and then hire a car to Hubli. It was very expensive, but I couldn’t do without seeing you." "It is quite a well-known fact that when a daughter gets married, a father has mixed feelings about it. He hates the fact that there is somebody else in his daughter’s life with whom she shares her affections–a smart, confident, younger man who gets the attention that was earlier his alone. I, too, was a little sad and jealous when you told us you had found your life partner. But when I met Rishi and found him to be all that you had described him to be-brilliant, handsome, and, most importantly, honest-l understood why you let your heart be stolen. It was then that I reconciled to sharing your affections with him." Image: Infosys MUST-READ: Chanda Kochhar Wrote What EVERY Mom Wants To Tell Her Daughter MUST-READ: Dear Mom, Here Is Everything I Want You To Know… Love, Me!